Madeleine Arthur guest starring on CW’s Supernatural!!! The award winning drama with the cult following was among the eight series given early renewals on Sunday. It will enter its 11th season this fall. 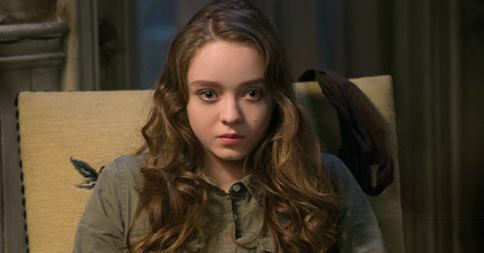 Young Canadian actress Madeleine Arthur (“Big Eyes”) is going to be guest-starring in the Feb. 3 episode titled “About A Boy”, Madeleine plays the teenaged version of a woman named Tina, who finds herself trapped in an very dangerous situation with a now-14 yr. old Dean Winchester (guest star Dylan Everett). Serge Ladouceur directs this episode written by Adam Glass (#1011). Original air date 2/3/2015. Grayson Is Back On His “Game”! Grayson Maxwell Gurnsey resumes filming the lead role as series regular “Toby”, in the new live action comedy for Corus and YTV, The Game. When you’re a young teenager, sometimes it can feel like your every embarrassing, mortifying, cringe-worthy moment is being watched by everyone. And in Toby Martin’s case – it is. 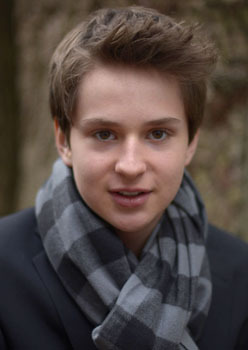 Toby’s your average 13-year-old 7th grader. He’s dealing with growing pains, zits, a changing voice, an annoying younger sister, some mild social awkwardness and a burgeoning, intense interest in girls. Added to this, Toby’s life – unbeknownst to him – has become The Game. His attempts to get through the day without too many disasters are followed by two sportscasters, Bob and Dave, who give play-by-play, analysis and colour commentary of Toby’s every move for viewers at home. They cheer for him when he wins and feel defeated when he loses, but are always in admiration of how Toby tries to triumph in each mortifying challenge that life throws his way. 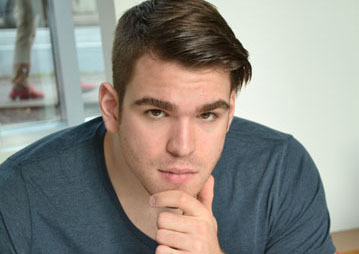 Max Chadburn has just wrapped on the BCAA commercial for BC TV, film and Internet. 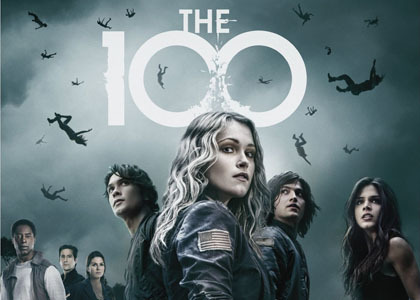 Kurt Ostlund has just finished playing a “Grounder” on the CW post-apocalpytic drama television series “The 100” created by Jason Rothenberg. The Grounders (also known as Grounder) or The Outsiders (by the Mountain Men), is a term used to describe a person who was born on Earth rather than in space or “Mount Weather”. The Grounders alive today are descendants of humans who survived the nuclear apocalypse 97 years ago. Many of the 100 have negative views toward Grounders, just like a lot of Grounders have a negative view of the 100. Congratulations!!! – To Max Chadburn, Kurt Ostlund and Aiden Longworth who have all finished shooting the indie feature film “Unseen“, a family drama directed and written by Geoff Redknap. Madeleine Arthur just completed work on the short Echo and Solomon directed by Jem Garrard – an award winning director and cinematographer from London, UK, based in Vancouver, BC. 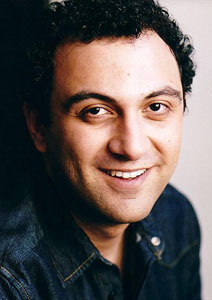 Jem directs, shoots and edits the TV series Playground which won four Leos this year for best Direction, Editing, Music Video and did the official music videos for Ringo Starr and Linkin Park. Madeleine will soon be filming the Crazy 8 short directed by Jem Garrard and produced by Michael Khazen and Beatrice King called “The Wolf Who Came to Dinner“. Sarah Willey recently played the role of “Sarah” in Segment #109 – “Salt Saves Teen” of the same series. Two Bookings for Mehdi Darvish! “Silk” – produced by Trembling Void Studios – One of the Telus/StoryHive productions. “Window Horses” – A feature length animated film, created by Ann Marie Flemming which follows the continued adventures of “Stick Girl“, a story using art, poetry, history and culture to add some understanding, peace and love into our increasingly complex and conflicted world. 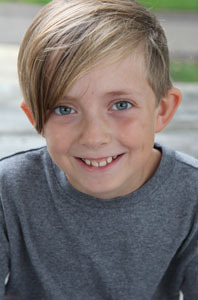 Aiden Longworth has wrapped production playing the title role in the feature film “The 9th Life of Louis Drax“. Veteran award-winning actors, Molly Parker, Oliver Platt and Barbara Hershey also join the previously announced cast including Jamie Dornan (Fifty Shades of Grey), Aaron Paul (Breaking Bad) and Canadian actress Sarah Gadon (Cosmopolis). Video clip: Aiden on set filming The 9th Live of Lois Drax. Madeleine Arthur at Big Eyes premiere!